FL Wildlife Removal of Florida services all of FL including Orange County, Miami-Dade County, Seminole County, Hillsborough County, Pinellas County and Broward County. We specialize in the removal and control of wildlife from your Florida home or business. Some of the most common calls for animal removal in Florida are raccoons, skunks, squirrels, snakes, bats, rats, mice and rodents. Florida animal removal is closely regulated by the County and by the state of Florida to ensure humane and proper treatment of the wild animals removed. We have the proper documentation from the Florida Department of game and inland fisheries and have the proper insurance and license to perform work to your home. FL Wildlife Removal specializes in pest wildlife control and management which includes squirrels, birds, raccoons, skunks and snakes. We remove household pests in a humane manner and can clean up the mess they may have left behind. 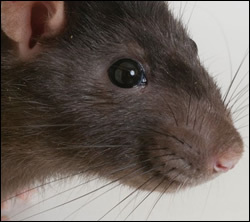 We can also repair any damage these pests have caused to your home. In many cities and towns, raccoons, squirrels, skunks and many different types of birds are considered to be nuisance wildlife in Florida. The grey squirrel is a common squirrel that is considered in many parts of the state to be a nuisance pest animal. They will chew electrical wires in your home and make a living area out of your attic. The flying squirrel is a very small squirrel that has two different sub species in Florida. There is the northern flying squirrel and the southern flying squirrel, Both of these animals will need to be excluded from your home in order for you to prevent Squirrels in the attic. The northern flying squirrel is on the protected species list, so please contact a professional when dealing with flying squirrels. Snakes are a common wildlife problem in Florida. We have different types of Venomous snakes in Florida, the copperhead, the rattle snake and the cottonmouth. All of these snakes should be handled by a professional snake removal or control agent and never attempted to be handled without the proper equipment. Bats in the attic is a common wildlife pest problem. Bats are a common wildlife pest and their presence should be eliminated as soon as they are discovered living in the attic area of your home. There are many different types of bats that live here in Florida. The little brown bat, the big brown bat are just two of the common bats in Florida. Never attempt to handle a bat without the proper equipment as bats are a common carrier of rabies and their human exposure should be limited. Birds are very common wildlife nuisance pest in Florida. Grackles, pigeons, house sparrows and several other birds make the nuisance wildlife list in Florida. Geese and other birds can also be pests but they are considered migratory birds and special permits should be gained before handling the birds. Most of our work is guaranteed for up to 5 years against animal reentry. We also provide Dead animal Removal, wildlife Control, animal Cleanup and other services that make us one of the most complete wildlife removal companies in Florida. We have a Nuisance Wildlife Removal Permit from the State of Florida and we are fully insured. We are also a proud member of the National Wildlife Control Officers Association. Call the experts at FL Wildlife Removal when you need to repair damage caused by wildlife or to prevent animal entry and damage in the first place. Don’t let the wildlife of Florida take over your home. Give FL Wildlife Removal a call today and rid your home of nuisance pests and all problem animals.